Everything you ever wanted to know about coconut. From coconut milk, to coconut butter, coconut water, coconut nectar and everything in between. Coconut has saved my ketogenic life numerous times. Green Coconut Curry, Biscuits and Bread, and Coconut Cauliflower Rice. In each of these adventures, I used a different form of coconut. What’s the difference between coconut oil and coconut butter? What is coconut manna? What is coconut milk? What’s the difference between coconut milk and coconut oil? Because I don’t want you wasting time trying to figure out what form of coconut would work best in your next dairy-free recipe, I’ve put together a little guide for you, below. 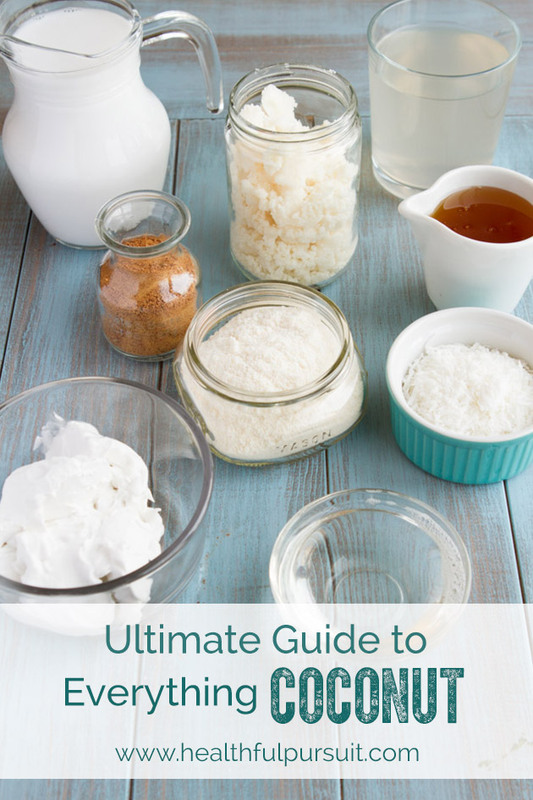 Note that, if you’re keto, coconut sugar and coconut nectar are not keto-friendly, but I included it in this roundup so that you could fully grasp the coconut varieties. Coconut Milk ($12) The “lite” version of this milk has less fat than the “regular” version. The lite milk is great for recipes that call for 1% or 2% milk. Regular (full-fat) coconut milk is great for recipes that call for cream. Can be replaced at a ratio of 1:1. Coconut Butter ($13) or Creamed Coconut ($14) or Coconut Manna ($6) Coconut butter is hard at room temperature and is a great replacement for white chocolate. It also makes an awesome base for chocolate shell coatings, like the one you’d find on an ice cream cone. Coconut Water ($20) Coconut water comes from inside the whole coconut. It is high in electrolytes making it a fabulous replacement for sport drinks. It’s also great to use as a base for your smoothies. Coconut Nectar ($6) This nectar can be used in place of honey, maple syrup, corn syrup or brown rice syrup in almost every recipe at a ratio of 1:1. Coconut Cream ($25) High-fat, thick cream of the coconut. Can be used in place of “cream” in just about any recipe at a 1:1 ratio. Coconut Sugar ($19) This sugar is lower on the glycemic index than cane sugar. 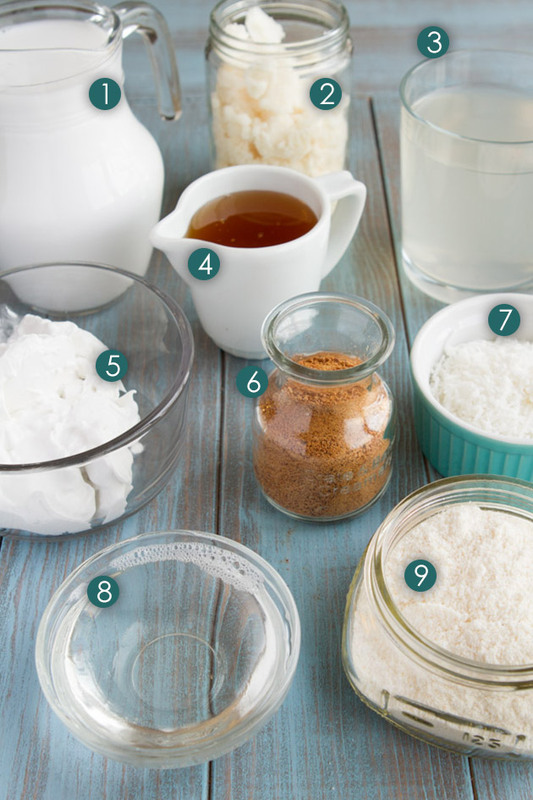 You can use it in place of just about any granulated sugar in any recipe at a ratio of 1:1. Shredded Coconut ($12) “Fine shred” can be used in place of flour in my recipes. The “long shred” coconut is great for cereals and snacks. 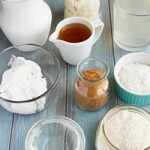 Coconut Oil ($8) Any recipe that calls for butter, coconut oil can be used in it’s place at a ratio of 1:1. Coconut Flour ($9) Baking and cooking with coconut flour can be a challenging task. To avoid frustration, I have many coconut flour recipes that are tested and ready for you. If you want to experiment, my friend Jenny from Nourished Kitchen did a fabulous job at explaining how to bake with coconut flour. If you’re diggin’ this guide, please, Pin it, Share it on Facebook and Tweet it. Your turn! 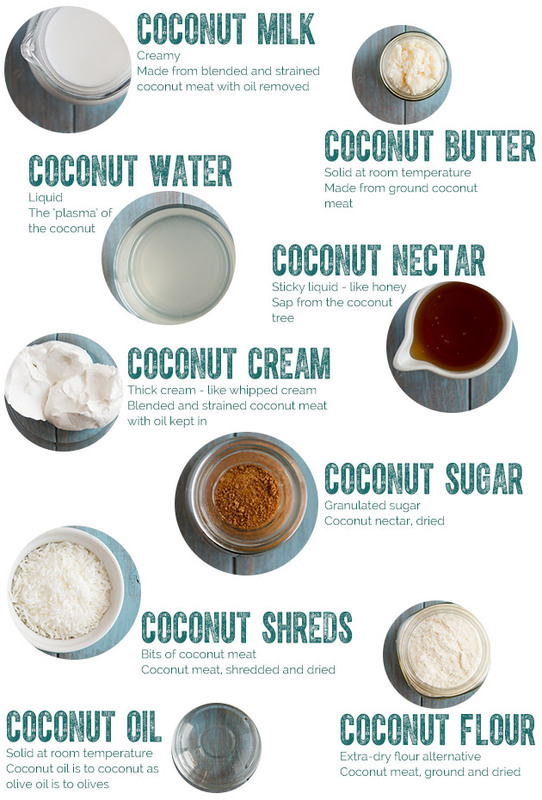 What forms of coconut do you have in your pantry right now? Which of your favorite dairy-filled recipes would you like to see me transform into a dairy-free delight?